Spanning nearly five decades, and coinciding with the artist’s 80th birthday, Gerhard Richter: Panorama is a major retrospective exhibition that groups together significant moments of his remarkable career. Since the 1960s, Gerhard Richter has immersed himself in a rich and varied exploration of painting. Gerhard Richter: Panorama highlights the full extent of the artist's work, which has encompassed a diverse range of techniques and ideas. It includes realist paintings based on photographs, colourful gestural abstractions such as the squeegee paintings, portraits, subtle landscapes and history paintings. Gerhard Richter was one of the first German artists to reflect on the history of National Socialism, creating paintings of family members who had been members, as well as victims of, the Nazi party. 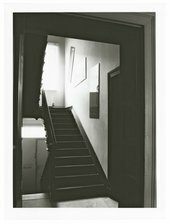 Continuing his historical interest, he produced the 15-part work October 18 1977 1988, a sequence of black and white paintings based on images of the Baader Meinhof group. Richter has continued to respond to significant moments in history throughout his career; the final room of the exhibition includes September 2005, a painting of the terrorist attacks on the World Trade Center in New York in 2001. Lovers of the epic beauty of Rothko, Twombly and Hodgkin will have much to enjoy, as will those who appreciate striking portraiture or the crystal-clear precision of photorealism.